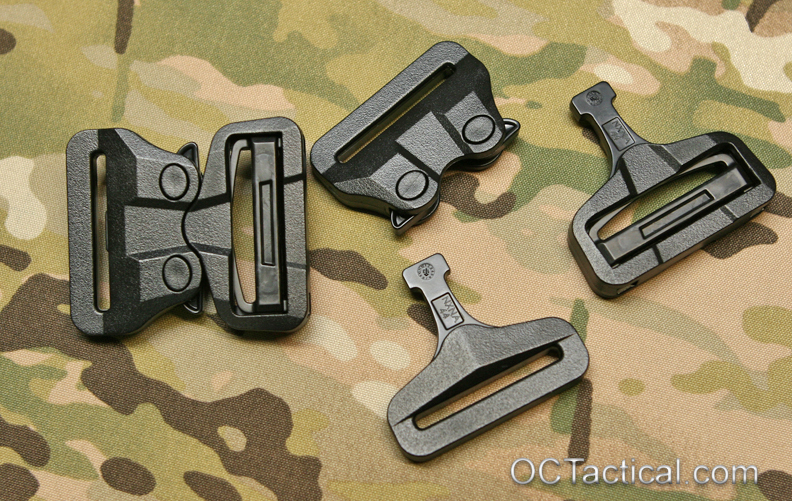 ITW Cobra Buckles are in stock and ready to ship. First shipment came in this week. We currently have 1.75″ bodies with loop only, 1.75″ latches with loop only in black and tan 499, and 1.75″ latches with slider in black. More sizes and colors should be flowing in shortly. The GT Cobra is a collaboration between ITW and AustriAplin. The GT Cobra is designed to be more robust than any other type of plastic hardware on the market, with a targeted tensile load of 500lbf, the GT Cobra buckle is a 100% polymer system with no metal components.